Hot off the heels of the Flora Healthy Heart Challenge, Cow was briefed to launch Test the Nation (Flora’s Cholesterol Testing campaign) to staff at the Unilever offices in Durban. Using the main foyer as our canvas, we set the journey to healthy heart. First people could have their cholesterol tested at one of three stations positioned as our focal points. BMI and BP were then tested in our lounge area where nurses were ready to give one on one consults. The queues didn’t hold up from 7:30am that morning until for 4:30 pm that evening. In total approximately 70% of the staff at Unilever had their cholesterol tested. Meaning 70% of all Unilever staff are now in a position to positively influence their heart health. 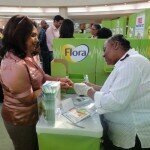 Watch this space to see how Flora makes over those unhealthy hearts that scored high.